Liège and its surroundings are characterized by many contrasts. Driving along the Meuse River Valley the most striking impression is the grey and rough landscape of 19th century industry, made of huge, rusty iron structures and smoky chimneys of old fashioned coking plants. Some of them were shut down recently while others are still active. They shape the face of the scenery and people living here don’t even notice the sulfur smell in the air anymore, which spreads around the working class / workless class district made up by simple and cozy redbrick houses. The river, the industry and the people’s neighborhoods are altogether closed in a narrow valley between bulging, woody hills. Under the surface of big and loud machines are popping out little places hide much potential for skateboarding and DIY. 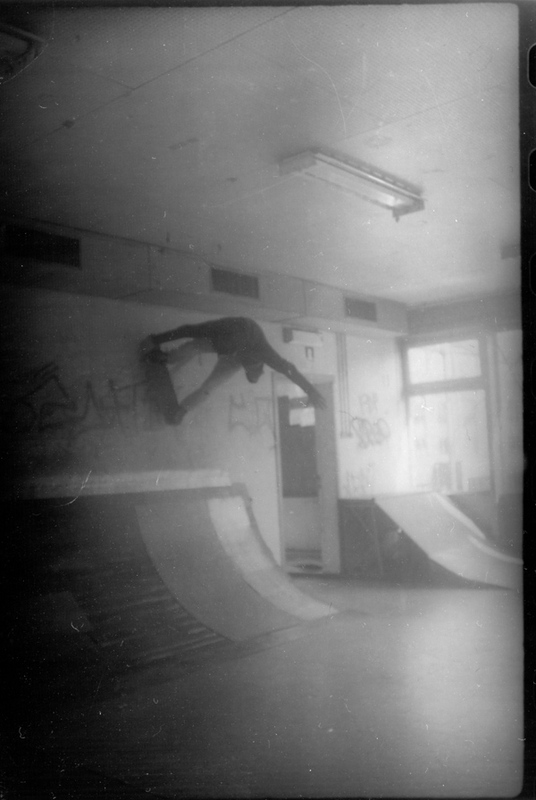 In the little town of Flémalle, in the suburbs of Liège, a few young and highly motivated skaters explored their living environment for places of freedom and imagination. Planted in the valley there is a complex of run down school buildings. These open white structures are completely filled with litter; doors and windows are all broken off. 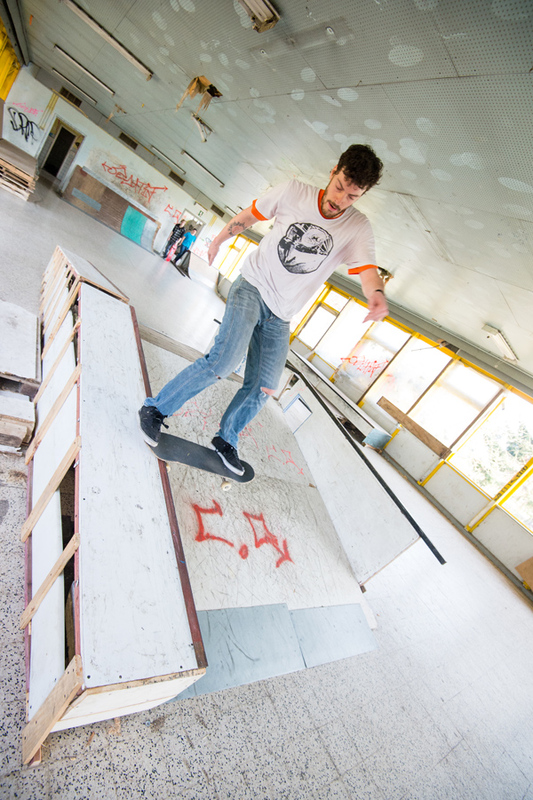 When Yannick and Angelo came here for the first time they started scratching on the layer of debris in one of the buildings, and they uncovered a smooth and glossy stony surface proving to be the perfect rain and winter spot for local skateboarders. Sitting together with Yannick on a sunny spring day in March, I asked him a couple of questions. Roxy: Can you tell us something about the place where we are sitting right now? 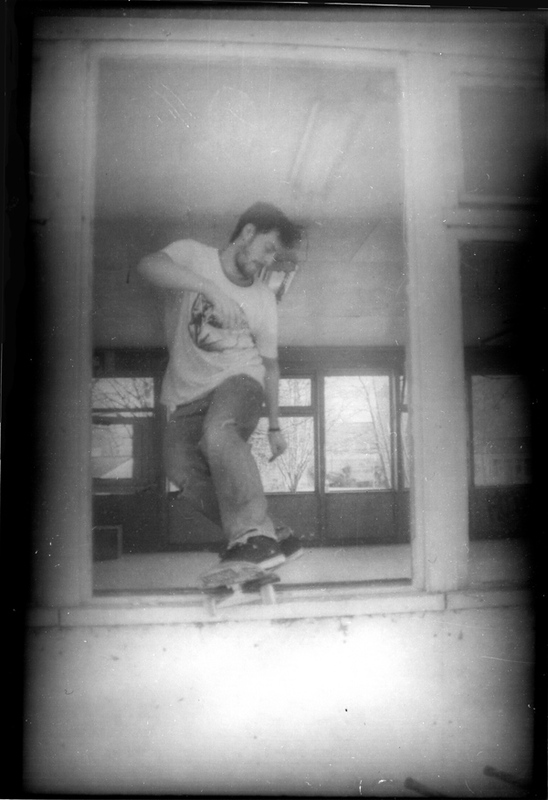 Yannick: Just behind us there is our little homemade skatepark that we call ‘Home’. Ever since Angelo and I found this place two years ago, we built obstacles with all kind of stuff we found in this area. We didn’t have money nor good tools; there is no electricity here either. But somehow we managed to gather everything by grubbing in all the garbage that is lying around here. We knew what we wanted so we just built the obstacles with what we found. It started from zero: In the beginning we just made a simple manual pad. Over time it developed more and more because we came regularly and continued working, so now we have altogether a structure that resembles a real skatepark. 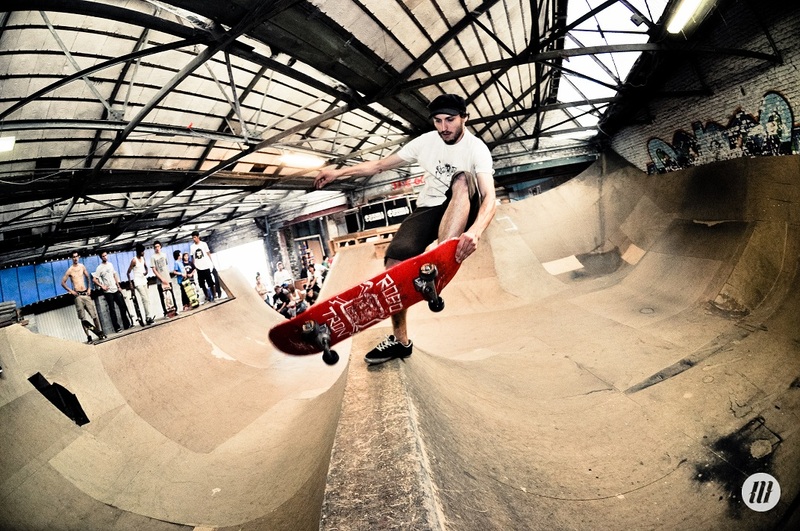 It’s really a great place to skate and to hang out where many people enjoy good times riding together. Roxy: Do you know what this building has been used for in the past, before it got abandoned and ruined? Yannick: It used to be the canteen of an elementary school. It stayed abandoned during a few years already and that’s how it looked like when we discovered the place. Windows and doors are broken out and everything was full of trash and debris as you can see in the other buildings that we don’t use. It was quite dangerous to step into here. And then we came here and one of the buildings we just started to turn it into something that was again filled with life. Roxy: Do you have an official permission to be here? Yannick: Well, everybody knows we’re here already: The municipality, the citizens, the police. They accept us. But we don’t have a formal authorization. Roxy: How do you see its future development? Yannik: Unfortunately, we knew from the beginning on that this building was supposed to be destroyed at some point; like there used to be more of them here and some are already gone. We are happy that ours is still here, although we know it is dangerous for our own health, as we know there is asbestos in here. And so what we are trying right now is to raise awareness among the citizens here, talk to the mayor and stuff and try to figure out a new place that is covered where we can transfer our obstacles or just build new ones, a place that is really sustainable. 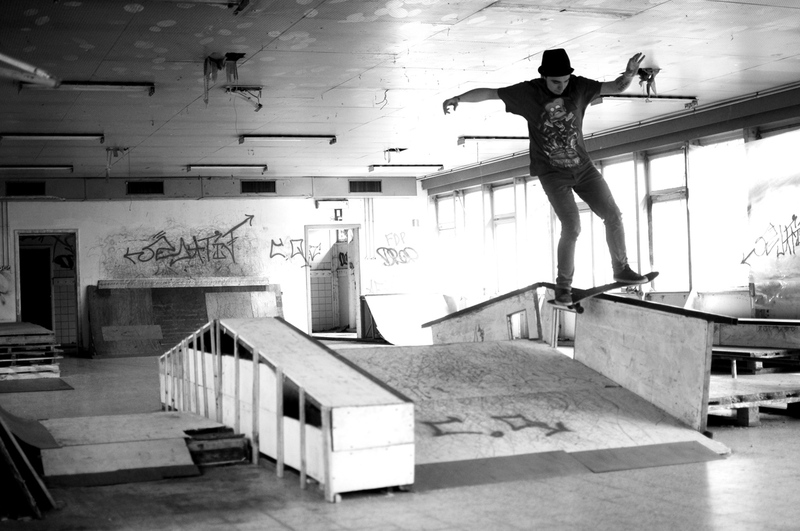 For this reason we are currently doing a lot, we talk about the project to everybody; we show to the people that we really want such a place for our own and that it is very important for us to have a place where we can continue skating that is indoor and accessible for us in Flémalle. 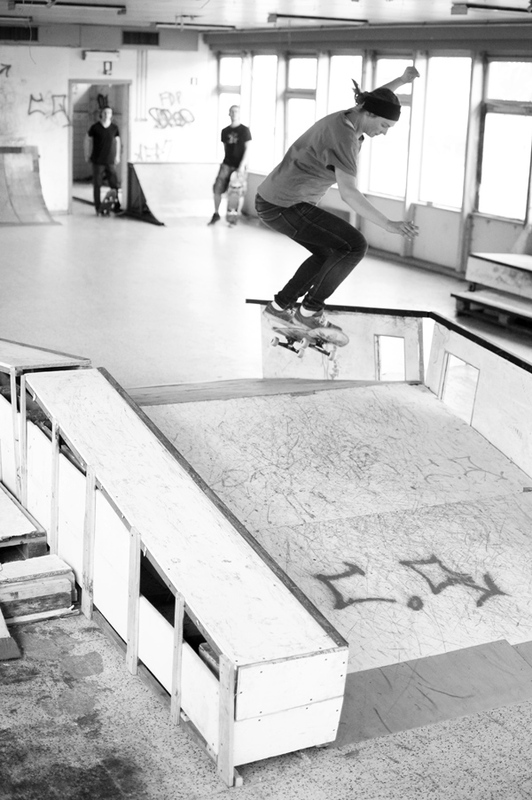 This place is a pleasure for many people here and for me it is a pleasure to see all these skaters that come together. So we are really proud of our work and I think it’s worth to be known even across the national bo(a)rders. Because although it is small, it attracts already people from beyond the region of Liège, like the Flemish like to come here a lot. It’s very motivating and nice to share this place with a variety of skateboarders and just ride together. The ‘Home’ in Flémalle is not the only spot in and around Liège. There is the Miss Dirty skatepark, a small, sketchy but really fun indoor park close to the downtown area of Liège. Miss Dirty is owned by Jean and built by a bunch of BMX and Skateboard riders. There is also the ‘Bowl des Trixhes’, a clover shaped bowl made with the Brusk Crew, which is going to be extended this summer. 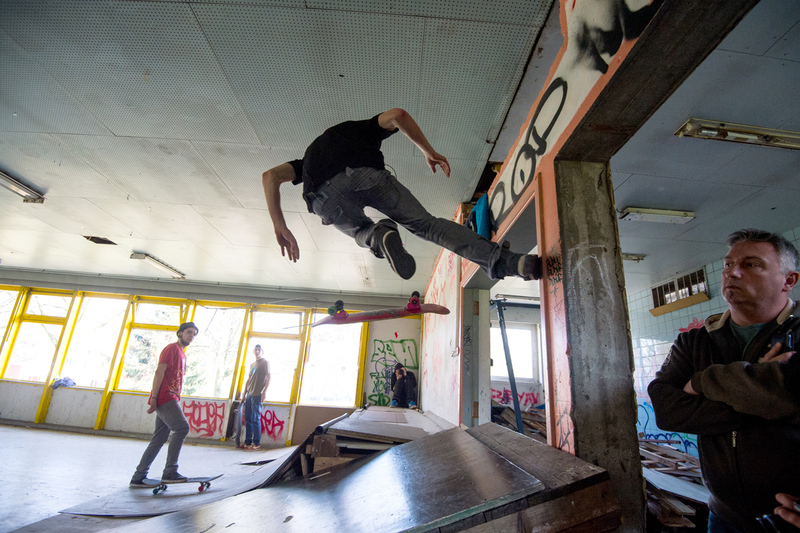 Last but not least: there is one of the oldest skateparks of Europe, the Cointe Snakerun for which an extension is planned for next year. 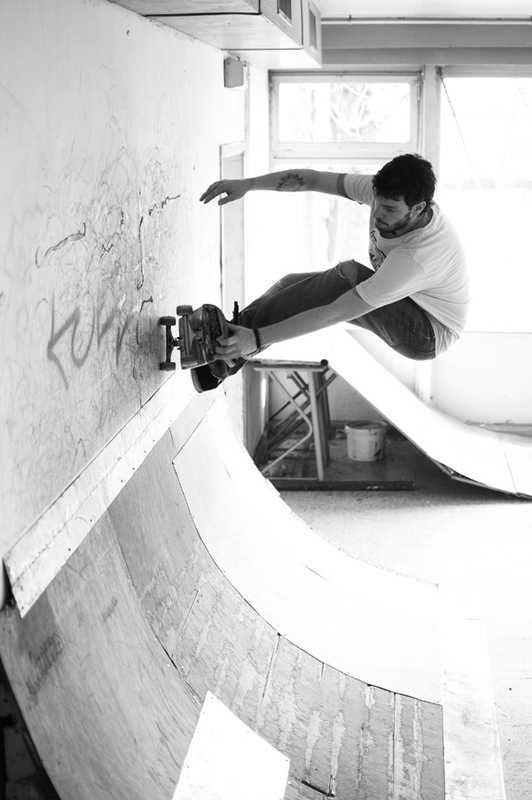 The last two projects are examples of good collaborations between the skateboarders and the municipalities. The local scene is finally getting together and that’s why good things happen. It’s always nice to see constructive initiatives develop.